Financial Planning - Cancer Cover - Donnellan And Co.
Cancer is a word that instills fear in everyone. Cancer is the term used to refer to all types of malignant tumours. A malignant tumour usually grows quickly, often invades surrounding tissue as it expands and can spread via the bloodstream or lymphatic system to form more growths in other parts of the body. There is a high incidence of cancer in Ireland. In an analysis of life cover claims in 2011 by Zurich Life, 47% of all claims related to cancer. 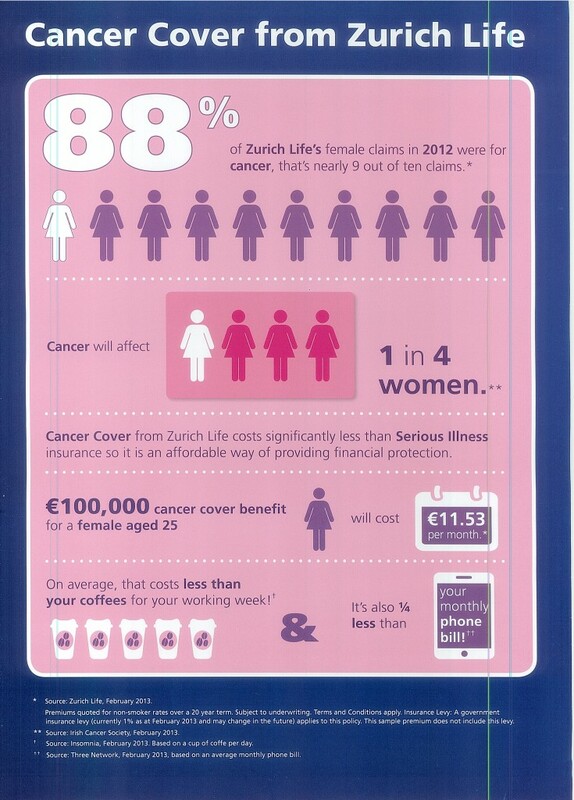 For serious illness cover claims by clients of Zurich Life in 2011 over 81% of females claims were cancer related. For males the serious illness cover claims for 2011 were 61% cancer related. Cancer is covered in serious illness policies as a listed illness. However many people believe that serious illness is not affordable or that the amount they require is not affordable. 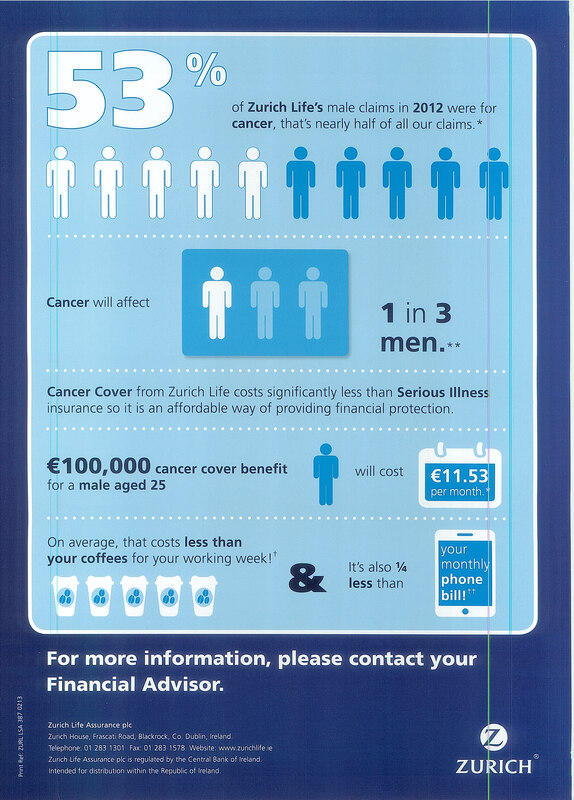 With this in mind Zurich Life have developed a new product which just covers the risk of being diagnosed with cancer. The product will pay out a lump sum on the diagnosis of cancer as defined in the policy document. “Any malignant tumour positively diagnosed with histological confirmation and characterised by the uncontrolled growth of malignant cells and invasion of tissue. All tumours of the prostate unless histologically classified as having a Gleason score greater than 6 or having progressed to at least clinical TNM classification T2N0MO. Chronic lymphocytic leukaemia unless histolgically classified as having progressed to at least Binet stage A. Any skin cancer other than malignant melonoma that has been histologically classified as having caused invasion beyond the epidermis (outer layer of skin). 3. Low Level Prostate Cancer – with Gleason Score between 2 and 6 – and with specific treatment. The above quotes are based on non smoker rates over a 20 year term. Subject to underwriting. Rates are quoted as at February 2013. For more details and any queries contact me today at 087-1202405.